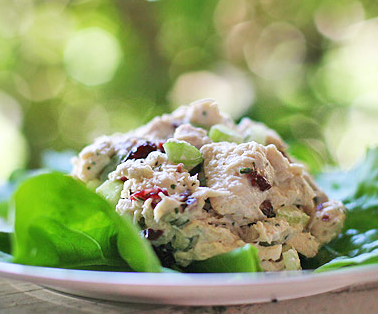 If you or anyone else you know likes the taste of black licorice or anise then this simple Tarragon Chicken Salad Recipe is worth a try. Serve a scoop or two of Terrific Tarragon Chicken onto of a bed of lettuce or serve with toasted sliced bread to make a sandwich. Optional: Heat/toast slivered Almonds and Tarragon first to release flavor. I also prefer to let the the Tarragon marinade in the lemon juice awhile, then blend it into the mayonnaise before mixing all the ingredients together.